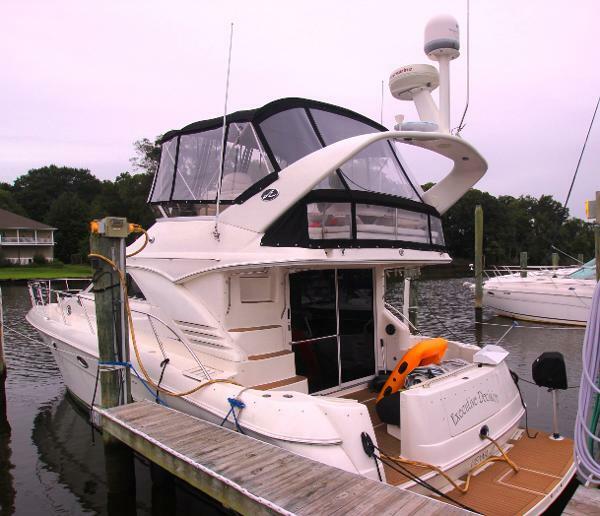 Here's a LOW HOUR Sea Ray 400 Sedan Bridge with a bow thruster! 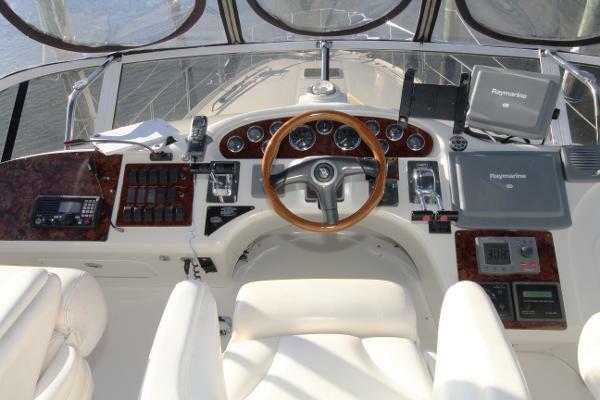 She's clean and features beautiful Flexi-Teak decking in the cockpit, on the swim platform and flybridge staircase. 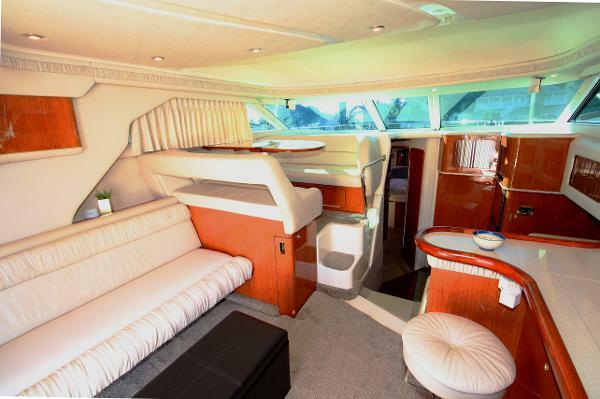 Her spacious, TWO stateroom, TWO head layout make this cruiser a very popular choice!